Join us for our next orientation session, led by one of our experienced volunteers, Sunday, February 22, 1–2 p.m., right before our regular 2–5 p.m. work session. Get the details here. Rarely available on Sundays? 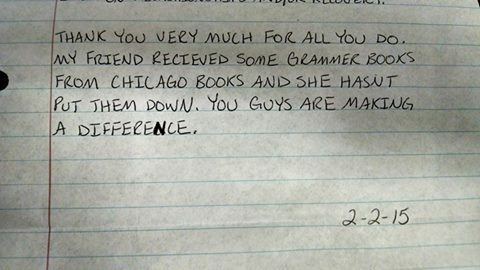 There are lots of other ways to get involved and help get books in the hands of women in prison.